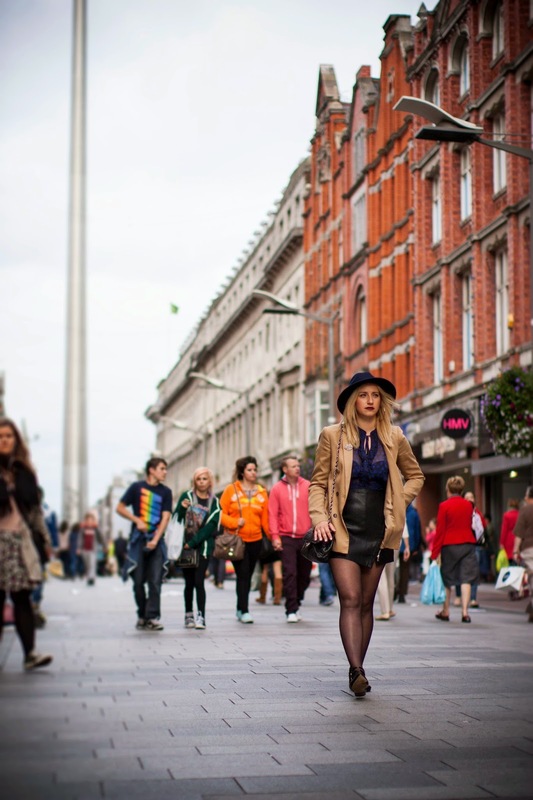 We shot this outfit while out for lunch (+shopping) with Agata in the city centre of Dublin. I wore my fav leather (PU) mini from Boohoo. It's so easy to wear, you can dress it up by throwing on heels or dress it down by adding sweatshirt and plimsolls. I wore it this time with a polka dot blouse in electric blue (one of my fav colours) and oversized navy fedora hat, that I cannot stop wearing! To keep warm I wore a long blazer. I really like this combination of black, blue and camel. 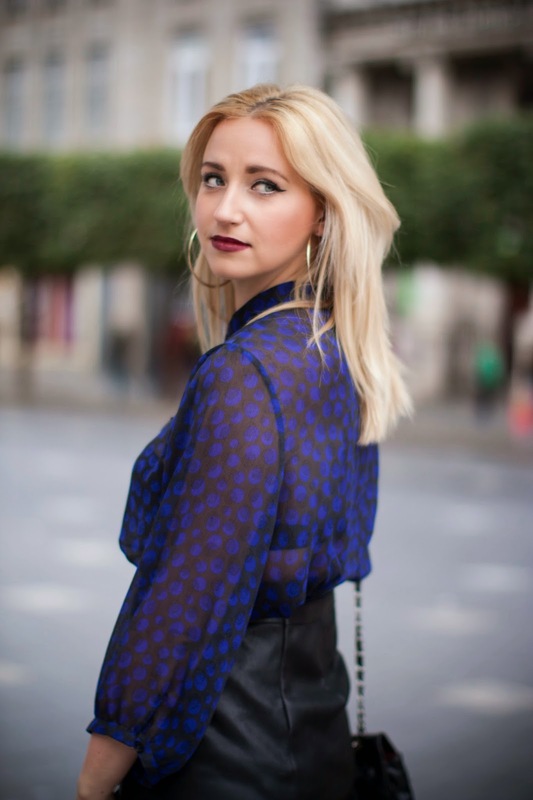 Have you started wearing your trans-seasonal clothes yet? Or are you still loyal to your summer wardrobe?